Sergenyurt, july 1996. 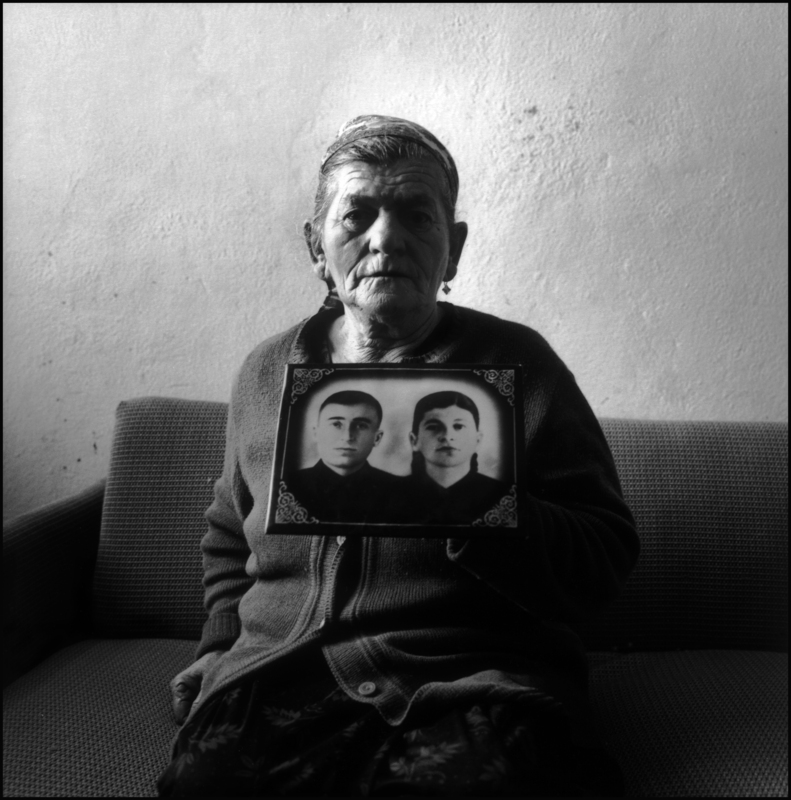 Belita holds a picture of her parents, both of whom died en route to Kazakhstan during Stalin's mass deportation of February 23-29, 1944. Nearly half a million people were gone, and Chechen-Ingushetia region suddenly ceased to exist. In 1994, on the 50th anniversary of Stalin's mass deportation, General Dudayev cited the event as proof of why Russia can never be trusted. He ominously stated: "Over the past two or three hundred years we have always acted on the assumption that Russia wishes to occupy Chechnya and expel the Chechen people from its territory. This factor is always present, consciously or unconsciously."